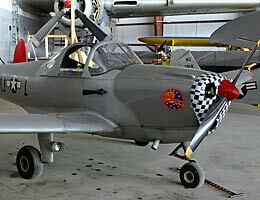 The 1941 Historic Aircraft Group Museum is located in Geneseo, NY, south of Rochester. This particular aviation museum resides on a grass strip in upstate NY with what looks like to be two WWII era hangars. Outside the Museum when I visited were three aircraft and several vehicles. 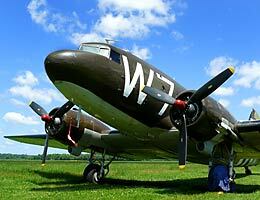 The brown C-47 Skytrain was a WWII veteran and had participated in the D-Day invasion dropping US troops over Europe. Another C-47 which although faded appeared airworthy with recently serviced radial engines and newly re-covered control surfaces. A museum staff member I spoke to said he preferred this Skytrain over the other as it had not been modified as much from its original configuration. The third airplane was a Grumman Hellcat. Well, it sure looked like a Grumman Hellcat from a distance. But the closer you got the more you realized something wasn't quite right about it. This Hellcat is a fiberglas replica, including seams and rivets and was rather well done. There were also several vehicles, a WWII Jeep, a GMC Deuce and a Half cargo truck, a Dodge M-43 Ambulance, and a more recent GMC Sierra fueling truck. 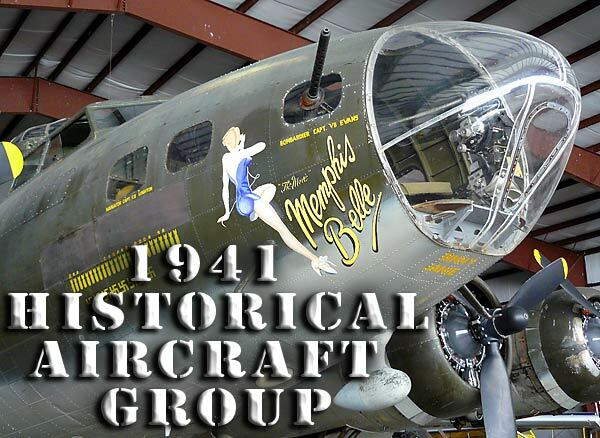 Inside the 1941 Historical Aircraft Group Museum's main hangar sat the Boeing B-17 Flying Fortress "Memphis Belle, The Movie". It looks great, well done but with some weathering and oil streaks showing that this B-17 is airworthy and flies regularly. 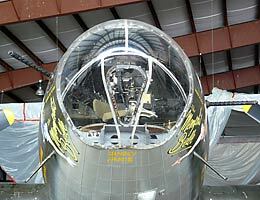 This Flying Fortress was painted up as and flown in the movie "Memphis Belle". The original Memphis Belle is in nowhere near as good condition (yet) and is at the USAF Museum in Dayton, OH undergoing extensive restoration. Also indoors is a nicely restored Beechcraft C-45 Expeditor In US Marine Corps markings along with a Fairchild C-119 Flying Boxcar undergoing restoration. An Ercoupe YO-55 done up in Tuskeegee Airmen markings also graced the floor, along with an Aeronca L-16. 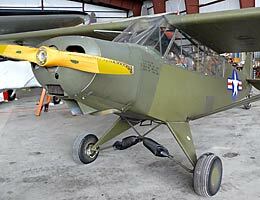 But the real surprise was a Soviet era Antonov An-2 Colt, a big STOL biplane. And I do mean BIG! 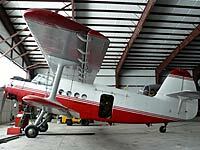 It is said to be the largest single engine biplane ever built. A smaller hangar housed a number of aircraft, including a Stinson Reliant fuselage frame undergoing restoration, a Ryan Navion, an L-21 that had been built up from a Macauley Cuby Kit, and an L-16 that had been converted from an Aeronca Champion. Hanging from the ceiling was a blue and white sailplane which I haven't yet been able to identify, a 1936 Plymouth P-2 Sedan, and the fuselage of an A-20 Havoc (the lighting was dim in that area I wasn't able to get useful shots). At the entrance is an indoor museum with models and other aviation artifacts, and a small gift shop. There was no food available at the museum, and no fast food I saw along my route in there for several miles so I'd recommend bringing lunch. There were chairs and a table in a covered outdoor area on the side of the airstrip where you got a good view of the brown C-47. Everything was on one level, though there may have been a step to get into the museum, and one more step to get to the restroom. It's relatively handicap accessible if you can manage a step and grassy areas. 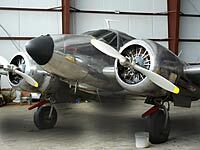 Since I visited the 1941 Historic Aircraft Group Museum in June of 2009, some big changes have been made. The large hangar has been cleaned out and the floor newly painted (link is to the HAG BB) . The Fairchild C-119 has been buttoned up, moved outside and is MUCH cleaner than when I was there. The Antonov has been outside and flying and more progress has been made on the A-20 Havoc. The Grumman Hellcat replica has been mounted atop a pole on the grounds and they have a Beech Staggerwing and an AT-6 undergoing restoration. The museum staff and volunteers have been very busy this summer and what you find there will be much more interesting than what you see on these pages. 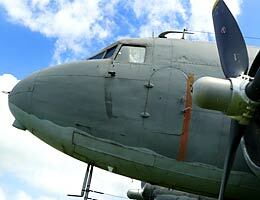 If you're interested in WWII Era airplanes, make a trip out to Geneseo to visit the HAG. Not many aviation museums have a Boeing B-17 on hand, much less a flyable Flying Fortress that starred in the movie Memphis Belle. The staff are very friendly and will be really glad to see you. If you live in the area, offer to volunteer. 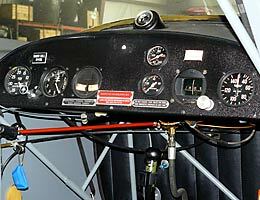 You'll get to work with some really dedicated folks and may even get your hands on some very historic airplanes. 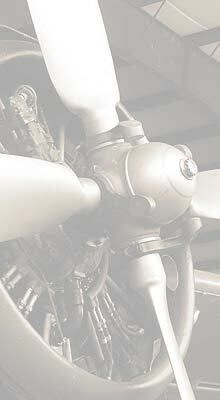 For hours and directions visit the 1941 Historical Aircraft Group's Website.